For unique or undefined items, please use the Paypal button below. Solander boxes to store and protect your Society Journals and Newsletters are now available again. 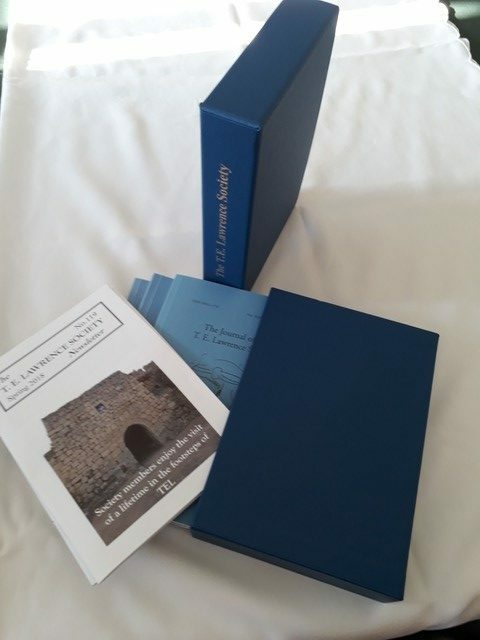 The boxes will hold 6-8 Journals and about 20 Newsletters, and are strongly constructed from Society blue covered board and have the T E Lawrence Society name on the spine in gold lettering. Costs in UK: £10 each plus £2 postage and packing. Costs for shipment outside the UK: £10 each plus postage to be advised based on numbers purchased. 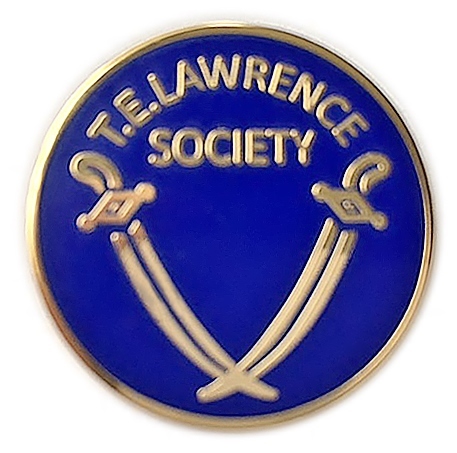 These smart T. E. Lawrence Society ties and enamel badges are now available for members to buy. 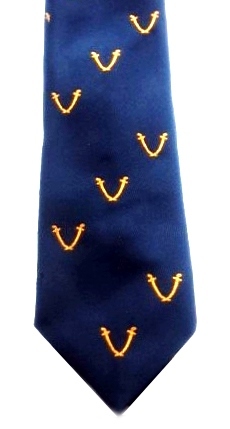 In dark blue, both the ties and badges feature the crossed swords symbol highlighted in gold. The crossed swords were originally designed by the artist Eric Kennington for the cover of the first public edition of Seven Pillars of Wisdom published by Jonathan Cape in 1935. Use the drop-down menus below to make your selection of a tie, badge, or tie and badge. The prices shown include P&P to each postal region (UK, Europe, International). Please click on the Buy Now button underneath to be redirected to the PayPal site to make your payment. You do not need a PayPal account to do this – you can use your debit or credit card instead of by clicking on the option to sign in as a Guest. 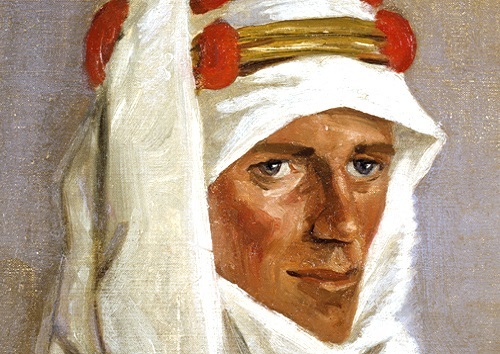 Alternatively, you can send a cheque (UK sterling) to the T. E. Lawrence Society, P. O. Box 728, Oxford, OX2 9ZJ, England, stating clearly what you are ordering. You can use the drop-down menus to check the amount you need to pay including P&P. If you wish to order more than one tie or badge, email us HERE to inquire about postage for multiple items. Thank you for your order.